Calista Leah Liew: Sabah International Folklore Festival 2013 - 8th Edition! 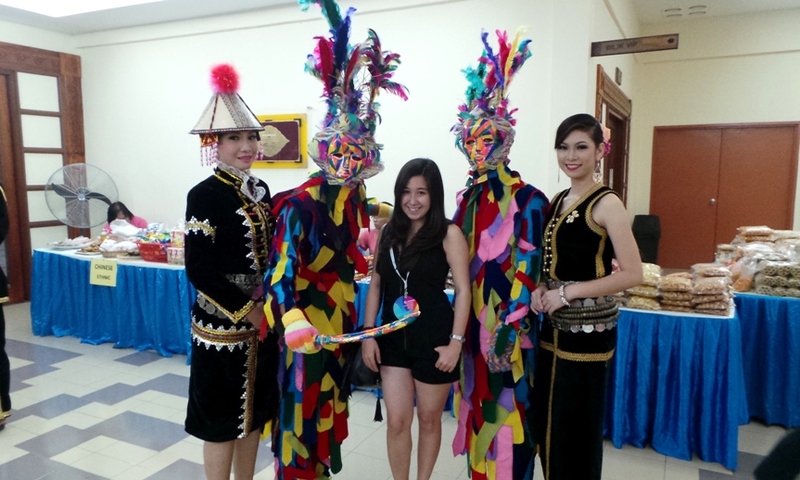 Sabah International Folklore Festival 2013 - 8th Edition! This post is a little later than expected, as I was first planning to post it as a vlog, but video editing is still yet to become a skill I can master. Sigh. With the tagline "Promoting Peace Through Culture", this year's Folklore Fest was a quieter affair, with music taking center stage. Theme song "Standing In The Eyes" with all participants. Love for One and All! Kinabalu Merdu Sound - Check out the bamboo guitar! Gambus Warisan Pesona - great voices, and the guy in the middle is so energetic! Razali Abdul Rahim from Malaysia, playing very energetic Kulintangan! Artsy Japanese Dance with elements of break dance..? One of the most popular performances, though I'm still not sure why the boy in the middle is bound like a mummy (blocked in this photo). The Bal-Bal is mythical folktale of the Irranun referring to the black magic practice to protect and safeguard their master and possession. The Bal-Bal is chosen as the SIFF mascot as a reminder to younger generations on cross cultural awareness, appreciation and importance. To keep updated for next year's festival, do follow them on facebook HERE!